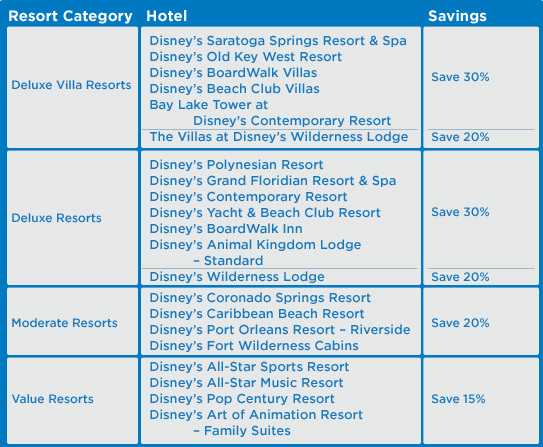 Save up to 30% at select Walt Disney World® Resort Hotels for stays most nights 6/13/2013 – 8/14/2013. Book starting now, and continuing until June 14, 2013. Mention offer code CKN when you call. I can help you with this — call me at 919-606-6725, email me at Mike@PixieVacations.com, or fill out my Disney vacation information form! On top of this, if you like, you can get even more savings when add at least 4 days of tickets to your room! 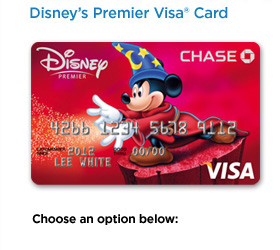 I would love to help you plan your next Disney vacation, and this offer from Chase Disney Visa is a great way to save money on your trip! Pixie Vacations is an Authorized Disney Travel Agency, and every agent of Pixie Vacations provides free, concierge level service to our clients. Planning a trip to Walt Disney World, Disneyland, or any of the other incredible Disney destinations is something that I have a lot of fun doing for my family — and I love helping out other people that need assistance as well, so reach out to me — you’ll be glad you did! 29 Days til Disneyland – Grand Californian Pools! Magical Blogorail Red – First Time Planning Tips! Previous Post: Five Days remain to enter to win our Disney Dooney and Bourke Charms Purse! Next Post: 83 Days til Disneyland – King Triton’s Carousel!